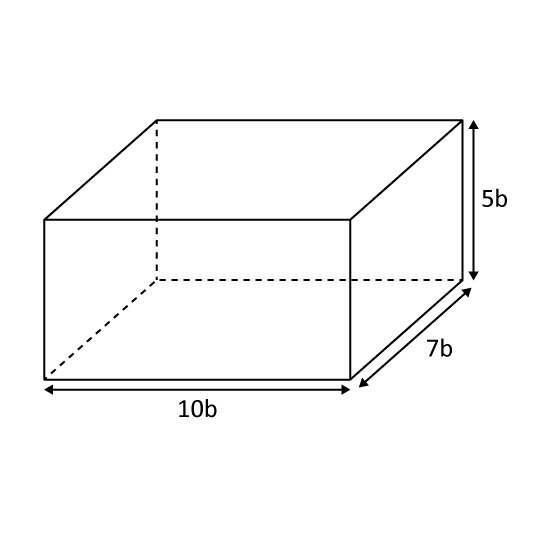 The figure shows the net of a cuboid not drawn to scale. Line A (B+H) is 50 cm. 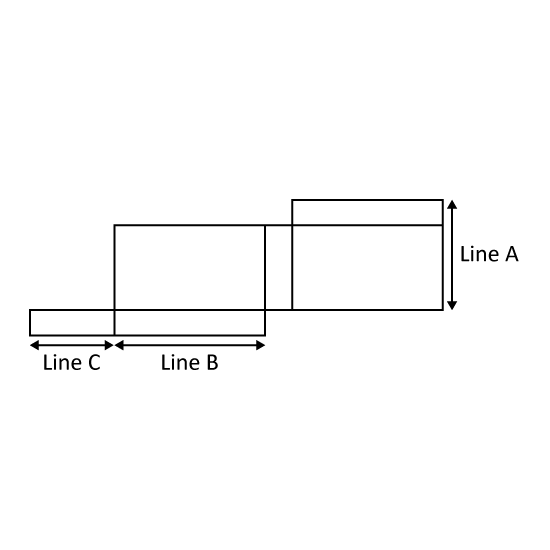 Line B (L) is 40 cm Line C (B) is 35 cm. Find the volume of the cuboid. Find the volume of the cuboid. 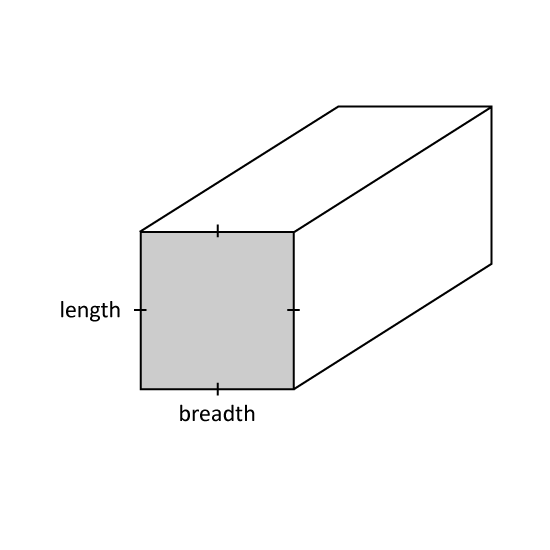 The length, breadth and height of a cuboid are in the ratio 8: 5: 2. If the length of the cuboid is 30 cm longer than its height, find its volume. What is the maximum number of cubes of edge 6 cm that can be cut from a foam cuboid, 67 cm by 36 cm by 27 cm? The figure shows a piece of paper. 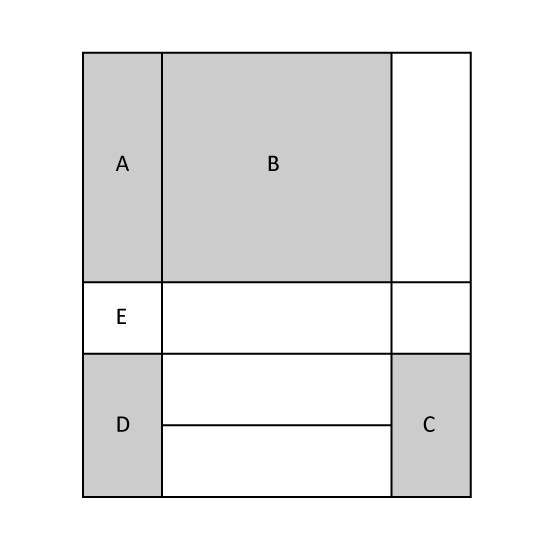 When the shaded rectangles A, C, D and square B is cut out, the remaining parts form the net of a cuboid. Area E is a square. Given that the area of A is 18 cm2 and the area of B is 81 cm2, find the volume of the cuboid. 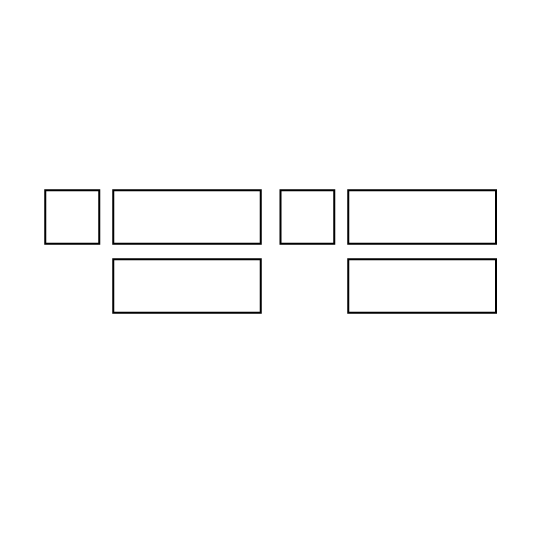 A cuboid has a square face of area 49 cm2. The ratio of its length to its breadth is 9 : 7. Find its volume. 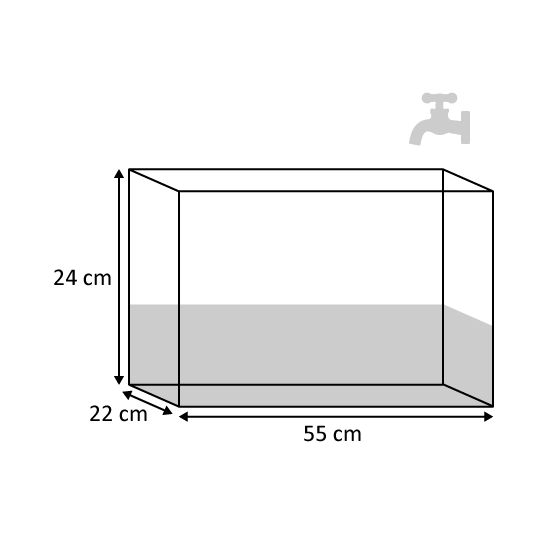 A rectangular tank has a base area of 50 cm2. It is half filled with water. If 4 bottles of water are poured into the tank, 250 mℓ of water will overflow. If 3 bottles of water are poured into the tank, 100 mℓ of water will overflow. Find the height of the tank. 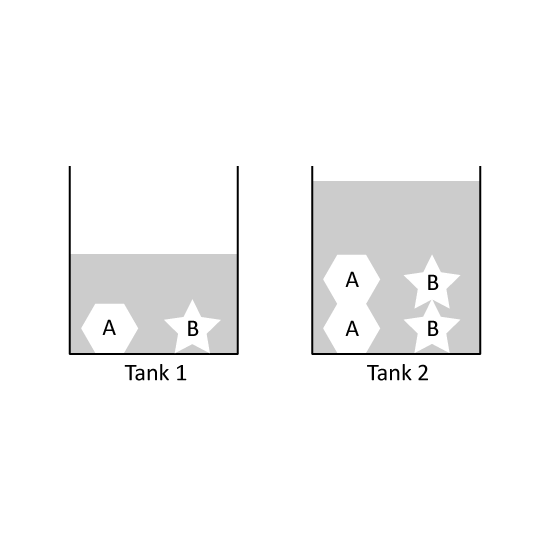 The figure shows two containers, Tank 1 and Tank 2. They each have the same amount of water but with different objects placed in them. The total volumes in Tank A and Tank B are 170 mℓ and 280 mℓ respectively. Find the volume of the water in each container.